Good Grips Easy Masher - Comfortable Easy Grip Handle. Another addition to the popular Good Grips range, the Good Grips masher makes short work of your potatoes! Its clever design utilizes your body weight rather than your wrist strength, meaning that it’s possible for even the weak wristed to prepare their own mash. 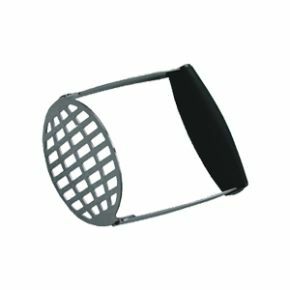 A broad handle with a comfortable, easy to grip finish makes the easy grip potato masher easy to use, and the extra long sides make it easy to reach the bottom of your pan.